These Veredus Olympus Fetlock Boots are innovative and smart knuckle boots shaped anatomically to give a great positioning and fit. These fetlock boots feature highly protective EVA foam for unrivalled protection. These double density boots have an outer shell of 54-SHORE TPU, a flexible and extremely strong polyurethane mixture that maintains it's elasto-mechanical properties in temperatures ranging from -15°C to 50°C. These Veredus Olympus Fetlock Boots have soft and adjustable straps ensure a comfortable fit while the flextan tips allow fast hooking and unhooking and the closure holes are narrow to ensure a secure hold. 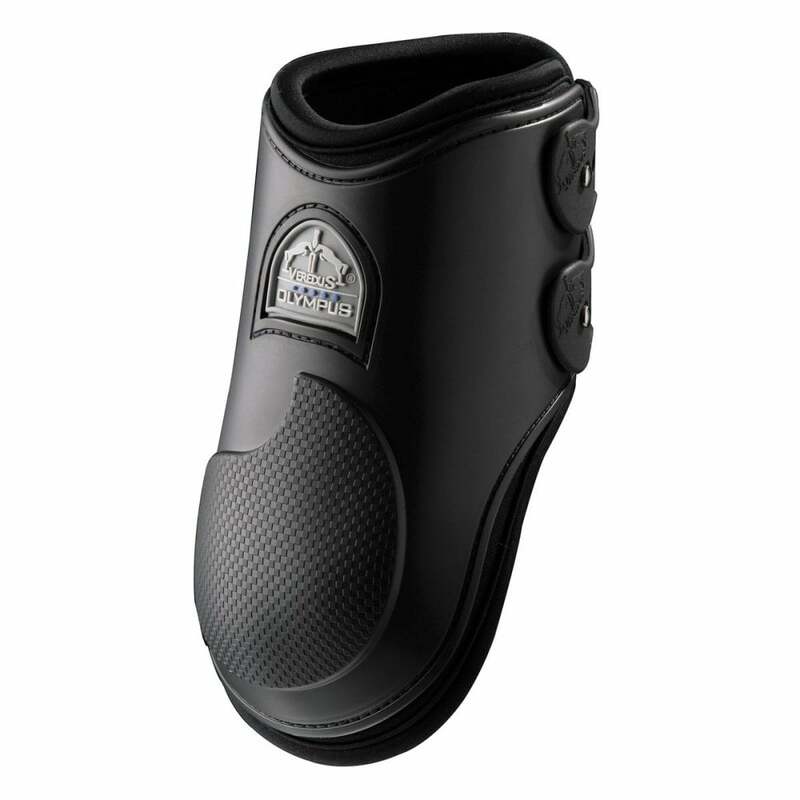 These Veredus Olympus Fetlock Boots are great for both schooling or competition.